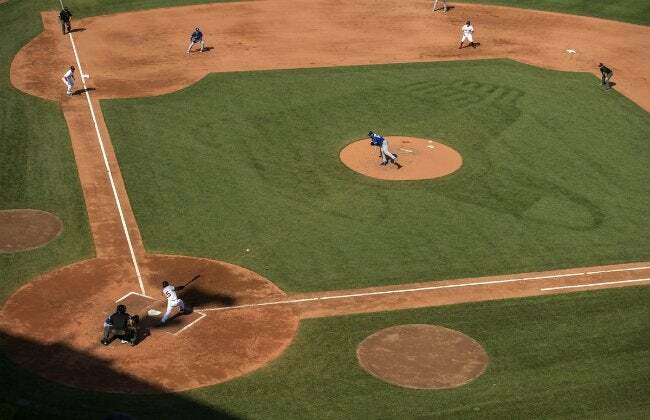 If you want a lawn as rich and beautiful as a major league ball field, check out these strategies for seeding, feeding, mowing, and more from the man responsible for the turf at one of the most gorgeous parks in the game! David Mellor was on his way to an athletic scholarship and a promising pitching career when tragedy struck: He got hit by a car, sidelining his dream. Yet, Mellor still made it to the majors, turning his love of baseball into a horticultural art form—today he’s director of grounds for the Boston Red Sox. His amazing “striping” patterns give venerable Fenway Park its flawless look and feel, and he’s equally discriminating as a homeowner. “Your lawn makes that first impression of your property, so attention to detail matters for curb appeal,” Mellor says. 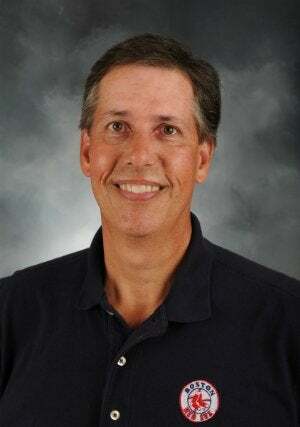 Here, the author of Picture Perfect: Mowing Techniques for Lawns, Landscapes, and Sports and The Lawn Bible: How to Keep It Green, Groomed, and Growing Every Season of the Year gives you his five keys to home-turf advantage. The key to Fenway’s gorgeous turf is the potent combination of iron and manganese. “It gives us a dark green color without a flush of growth, which helps enhance striping,” Mellor reveals. Yet, while feeding your grass keeps it growing actively, every lawn has unique needs—and that’s where a soil test comes in. “Your grass is only as good as the soil below. Testing provides a nutrient and pH analysis, as well as recommendations for treating it,” says Mellor. Search online for your county extension agent or go through a local university’s agriculture department to obtain this vital, inexpensive diagnostic. “Some folks think if a little bit’s good a lot must be better,” Mellor cautions, “but too much fertilizer makes your lawn disease-prone and can harm the environment.” Follow directions to the letter, keep your drop spreader functioning properly, and never allow fertilizer to run off, where it can get into the sewer system. Mellor’s tip: To ensure that product doesn’t drip, shut the unit off as you near the end of a row, then flip it back on after you turn around. “The most common mistake people make is coming home from work and turning on the sprinkler,” Mellor observes. “Letting grass sit wet all night exacerbates dew-point conditions and sets you up for disease and mildew.” Mellor notes that the ideal watering time is between 2 a.m. and 7 a.m.
“If you don’t have an irrigation system, get a timer that hooks to your spigot to turn the sprinkler on and off,” he suggests. The average lawn needs an inch of water a week (a bit more if soil is sandy), so measure your sprinkler output with this easy trick: Space several coffee cups across your lawn every few feet, crank the water for 10 minutes, then check the cups. The amount collected will help you determine how long to keep your sprinklers running in future for optimal watering. Also bear in mind that different lawn locations may have different requirements. “Water a shaded area too much, and you open the door to disease, injury, and insects,” Mellor says. 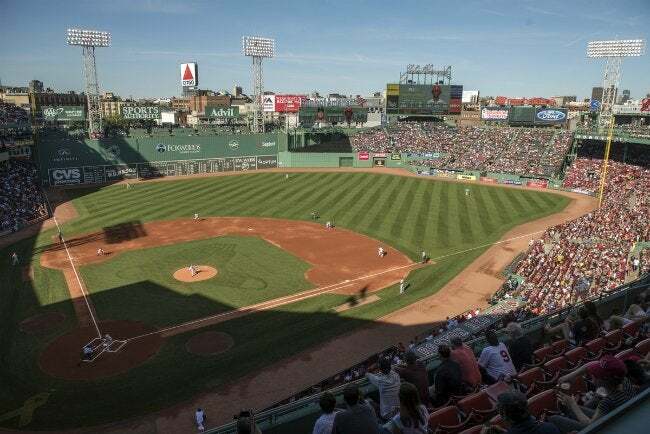 While a moisture meter monitors conditions at Fenway, he suggests homeowners simply dig into the lawn here and there with a small spade to get a feel for it.